If you spent the last few months hibernating/skiing/stuck in a Broncos-induced sadness spiral that led to you subsisting on a diet of donuts and raw cookie dough, you missed a bunch of new restaurants! 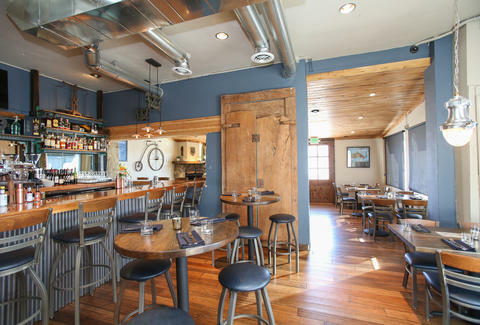 Pick up the pieces and get yourself to these eight new Denver eateries. This comfort-focused neighborhood hang has an all-day menu with bites like chorizo French toast with avocado cream sauce in the morning, charcuterie grinders for lunch, and heartier dishes like a wild boar chili with garam masala as the day progresses. Happy hour specials (3-6pm) include $1 off drafts & cocktails and $5 charcuterie boards. So yeah, if you start making multiple trips per day, it'll be understandable. A second outpost of the Boulder original, The Kitchen Next Door's rooftop garden shares space with a small patio that offers up stunning views of the Rockies (not the Troy Tulowitzki kind), setting the stage for farm-friendly goodness like Koberstein Ranch Beef Meatballs over polenta with gremolata, plus kegged Moscow Mules and margaritas. The all-week Community Hour (3-6pm) is packed with deals like $3 Avery Rascal and S4.95 Salt & Pepper Calamari, but no shenanigans from the gang at Greendale. 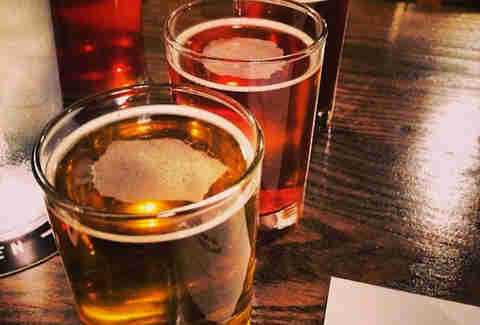 Two former brewers from Rock Bottom Brewery have teamed up to create their own brewpub in the Golden Triangle, perfect for commuters driving down Lincoln after work. Eight rotating house brews on tap pair with snackage like bacon-wrapped peppers, green chili pulled pork pizza, and Low Balls (Italian sausage meatballs with Fresno chili sauce). The balls are $5, but you should offer $3 for comedic reasons. 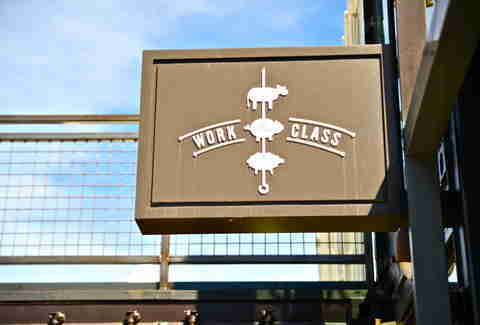 This brand-new build, made out of 29 recycled shipping containers, is RiNo's new favorite meat-forward restaurant. 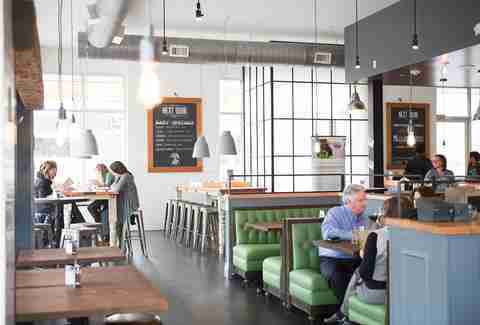 Their concept is based on the idea of a "square meal, a stiff drink, and fair price." The menu's a mix of American comfort and Latin influences, with starters like Peppers Five Ways (pickled, stuffed & fried, bacon-wrapped... so many ways!) and rotisserie-cooked proteins like Buffalo and rosemary chicken. The menu's heavy on gluten-free options if there are people in your crew you need to accommodate. 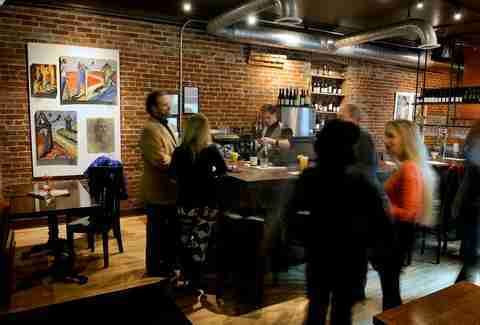 South Broadway's newest art bar and French bistro (ugh, ANOTHER?!) offers a selection of light bites like Fromage Fort (wine & garlic-kicked cheese served warm over a crostini) and prosciutto and chevre tartines, along with a full bar and rotating artwork. Makes for a good date if you can't agree whether to go to a restaurant or an art gallery. 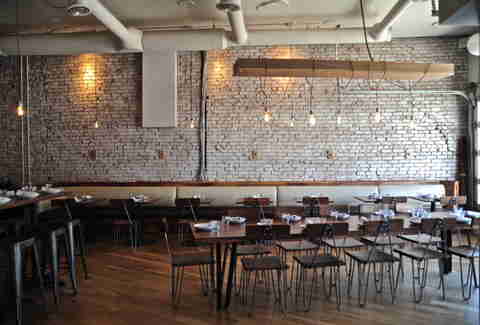 Now open in the former Deluxe/Juanita's space, Gozo is a Mediterranean restaurant that has a relaxed approach to fine dining (matching your relaxed approach to napping after meals). 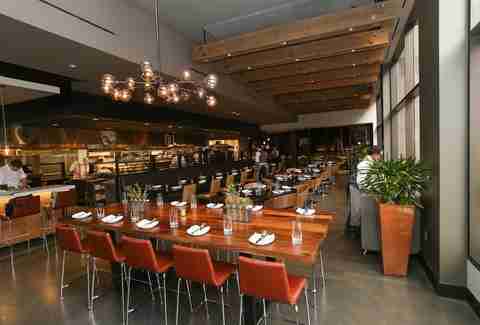 The warm, wood-accented interior sets the stage for plates like grilled prawns over mashed cauliflower in a chorizo-Sherry vinaigrette, and braised pork shoulder with preserved lemon and mustard greens. G&G is Downtown's newest swanky steakhouse -- and Troy Guard's third restaurant in the last six months. This massive modern space is filled with light and has a huge patio and three private dining rooms for parties and special events. There are 40 wine lockers available for those who want to hoard rare bottles, a raw bar slinging West and East Coast oysters, and land-based eats like grilled beef short ribs with Gorgonzola aioli and grilled onions. 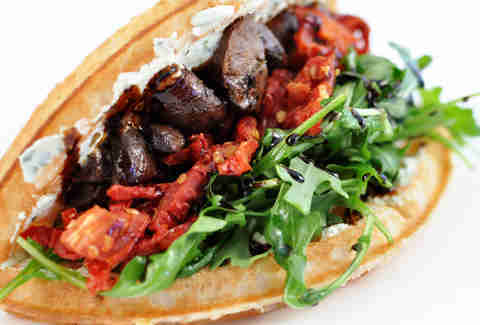 Bruxie is a Cali-based gourmet waffle sandwich shop (repeat: gourmet waffle sandwich shop!) that's just opened their first Colorado outpost. Sandwiches are split between sweet (aka S'Mores and Créme Brulée) options and savory creations like Buttermilk Fried Chicken & Waffle with chili honey and cole slaw.